TrueConf, a leading video conferencing vendor, announced an integration with Microsoft's Skype for Business. Company's latest offering, TrueConf Server v. 4.3.9, delivers a seamless video conferencing experience for TrueConf and Skype for Business users. TrueConf has added support for X-H264UC video codec to enable integration with Skype for Business 2015 or Lync 2013 dedicated servers, demonstrating TrueConf's commitment to provide integrated video conferencing experience for users of different platforms, systems, and applications. "TrueConf is excited to offer integration with Microsoft solutions to create comprehensive user experience and boost teams' productivity," Dmitry Odintsov, TrueConf Chief Business Development Officer, says. 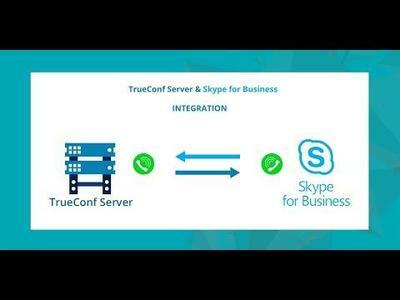 "Thanks to our integration, Skype for Business users will be able to communicate their ideas through TrueConf Server plugin-free webinar platform with built-in WebRTC support." TrueConf will showcase TrueConf-Microsoft integration during Integrated Systems Europe 2018, one of the world's largest AV shows. \"TrueConf is excited to offer integration with Microsoft solutions to create comprehensive user experience and boost teams' productivity,\" Dmitry Odintsov, TrueConf Chief Business Development Officer, says. \"Thanks to our integration, Skype for Business users will be able to communicate their ideas through TrueConf Server plugin-free webinar platform with built-in WebRTC support.\"